Jimdo is a fun, beginner-friendly way to get your own website online. 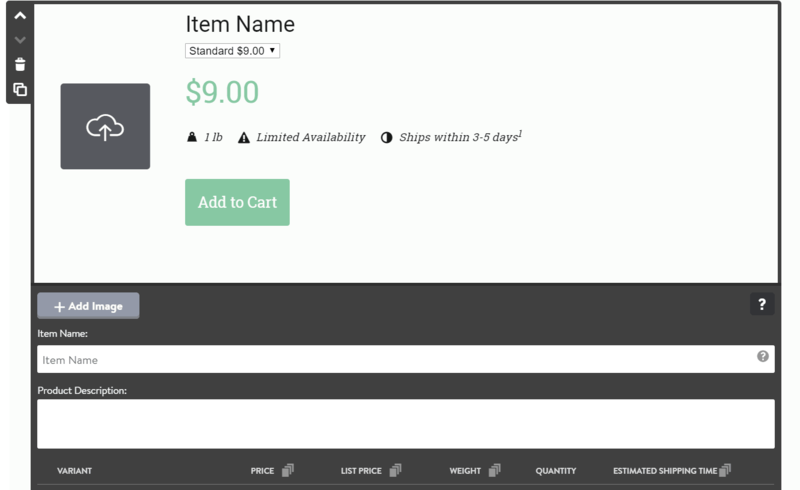 You can also use it to build your very own online shop. In this step-by-step guide, you’ll see exactly what it takes to build a store with Jimdo. We’ll go over setting up a Jimdo store, creating product pages, and pulling it all together to start selling. If you want to know what else Jimdo has to offer, check out my in-depth Jimdo review. While you need a Business plan or higher to get full e-commerce functionality on Jimdo, you can use the Pro or even the Free plan to test many of the e-commerce features and sell a limited number of products with PayPal (5 products on the Free plan, 15 on Pro). The Business plan gives you more advanced features, like discount codes, weight or tag-based shipping, a custom order confirmation page, and set sale prices. There are no transaction fees and you can set your shipping cost. Jimdo’s Dolphin builder has its own pricing plans. The Dolphin Ecommerce plan is almost the same as Business, but it doesn’t come with unlimited bandwidth and storage. 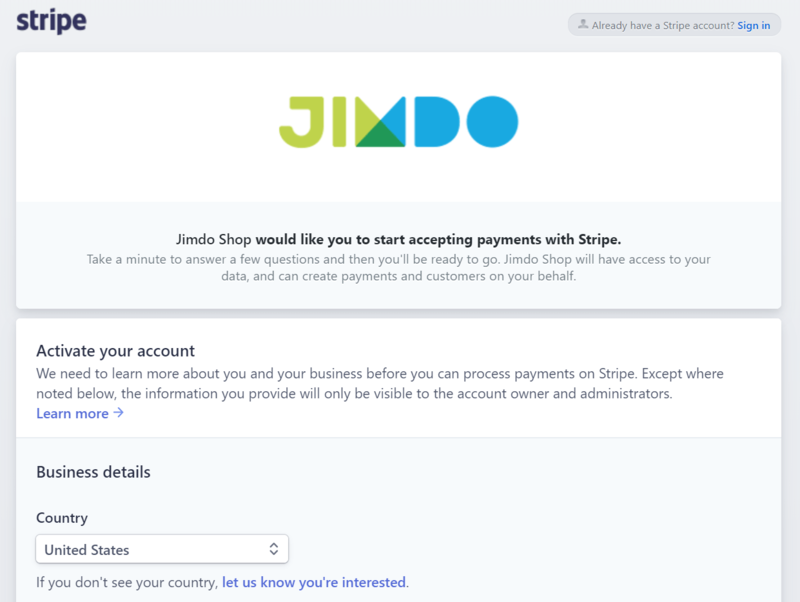 If you just need a very basic store and you’re okay with using PayPal, then you can actually set up a store with Jimdo Free or Pro. Since I wanted to check some of those advanced features, I signed up for the Business plan. What Does Jimdo E-commerce Have to Offer (or Not)? Unfortunately, Jimdo doesn’t let you sell on any other channels like Ebay, Amazon, or social media. 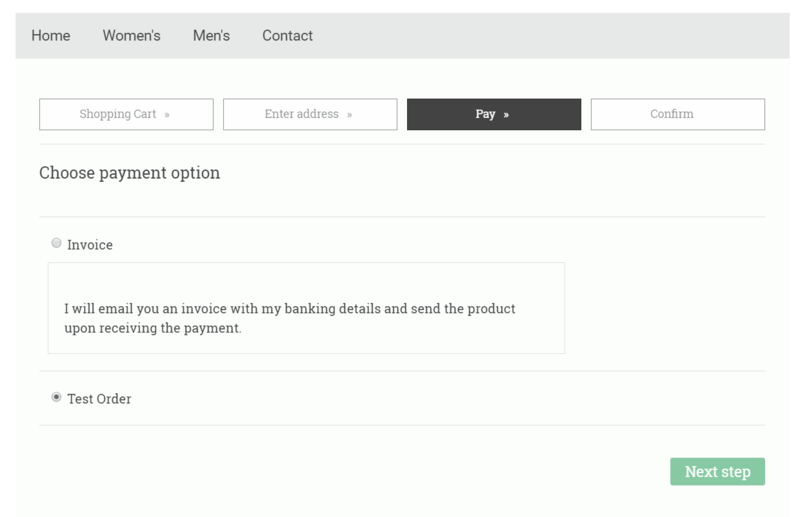 Jimdo doesn’t directly support digital products, but there is a workaround you can use. You can create a regular product page and a hidden, password protected page with a downloadable element. If someone buys it, the sale won’t go through your store’s inventory, shopping cart, or order management. You will need to manually send your customer the link to the page and the password via email. Another feature that’s missing is product categories. 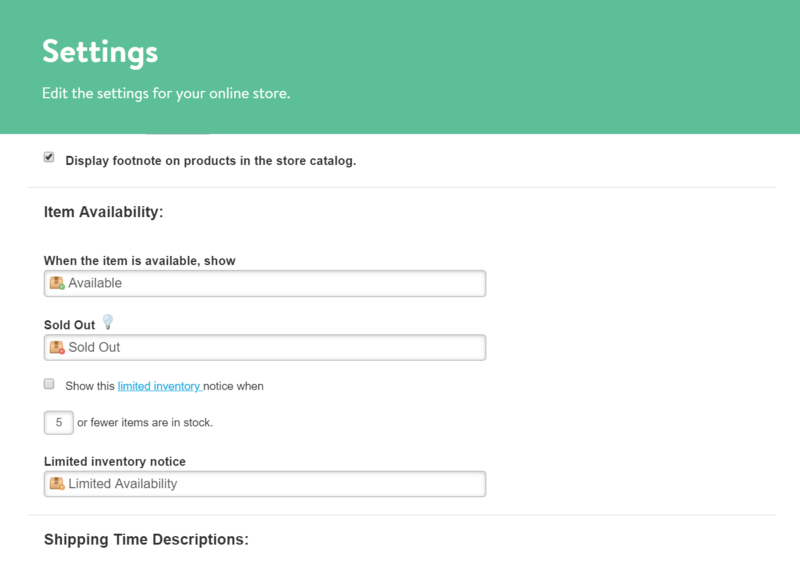 You can create a separate page for each category of products, but that won’t really help you if you want to use categories to organize your store. While it’s not completely obvious at first how to go about adding products, it’s easy once you know how. With Jimdo Creator, you create products just like any other element on your pages. 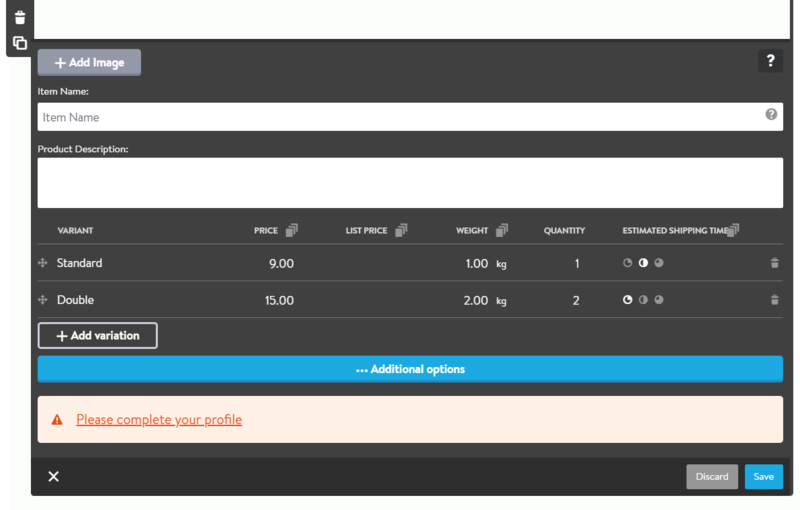 That will open up the product element panel where you can fill in all the details for your product. Here, you can upload multiple images, add product options, and set up product variations. 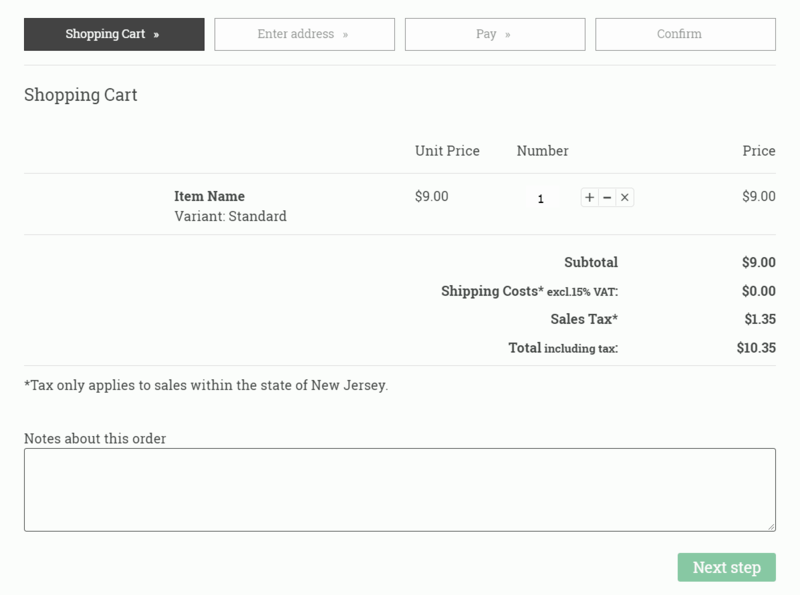 There are also fields for the product description, weight, quantity, and some basic shipping options. However, like the rest of the store, this functionality doesn’t always run deep enough. One pretty big shortcoming is that you can’t use use images in combination with product variations. For example, if you have a t-shirt with images for a green or yellow variations, there is no way to make selecting the yellow image automatically add a yellow t-shirt to the cart. You’ll have to adjust some of the information, like shipping time, availability, and currency, in the backend of your store. You can use variations to create specials, like a two-for-the-price-of-one sale. Below the basic info are some important sections about how you handle taxes, product availability, and shipping. 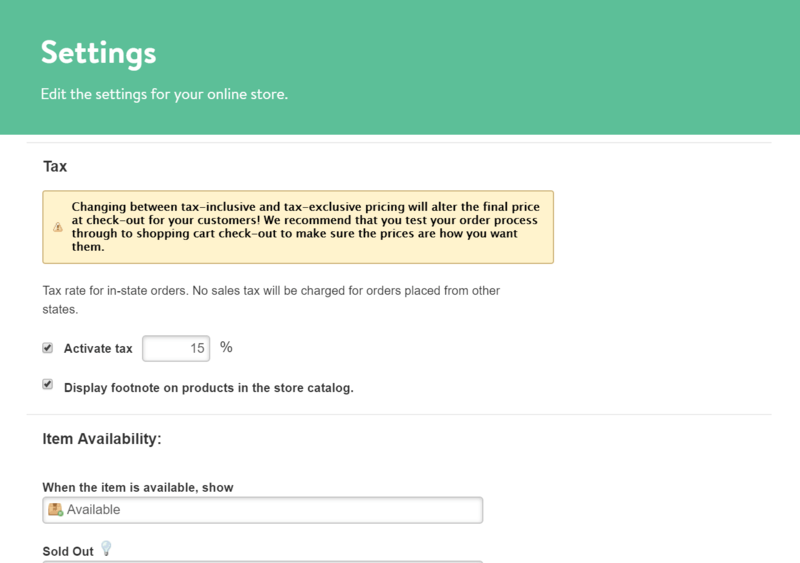 You can choose whether to include taxes in your pricing. If you activate tax, Jimdo will automatically calculate and add tax to your customers’ orders. If you don’t, you’ll need to personally make sure that your prices account for whatever tax you have to pay. Although this isn’t a particularly powerful tax tool, it is nice to have if you know how much taxes you have to pay in your state. A tax disclaimer will be automatically displayed to your customers. The item availability features are also pretty basic, but very useful. You can change the text for when an item is available or sold out to whatever you want. For example, you could change ‘Available’ with ‘Selling Quickly’ if you want to create a bit of urgency. Or, ‘Sold Out’ to ‘Sorry… You just missed it’ for a personal touch. The shipping time descriptions are a bit limiting. There are no real-time calculated shipping rates or integrations with real carriers. 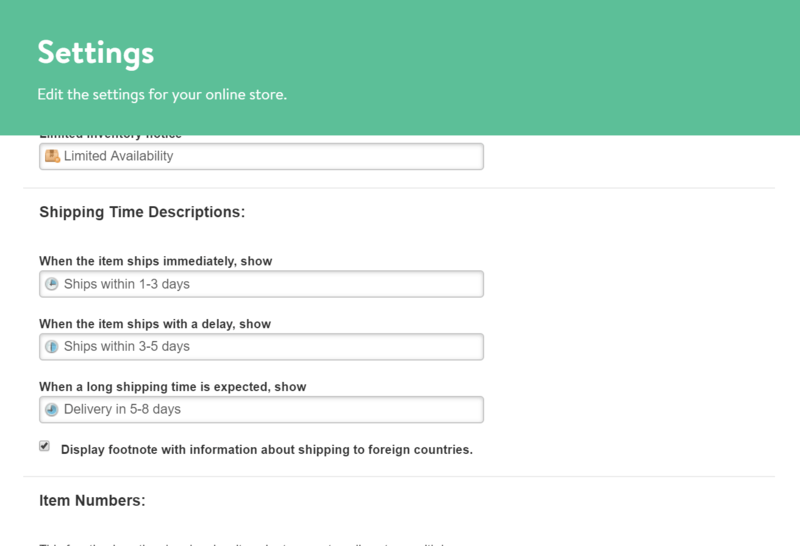 You will have to make do with setting certain shipping times based on how long your carrier usually takes. There is no automatic tracking feature. 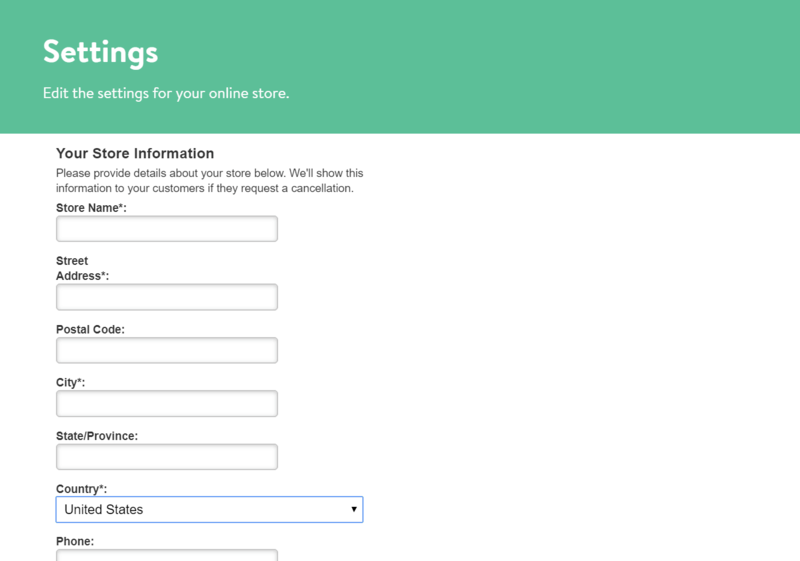 These were the most important settings for your store. 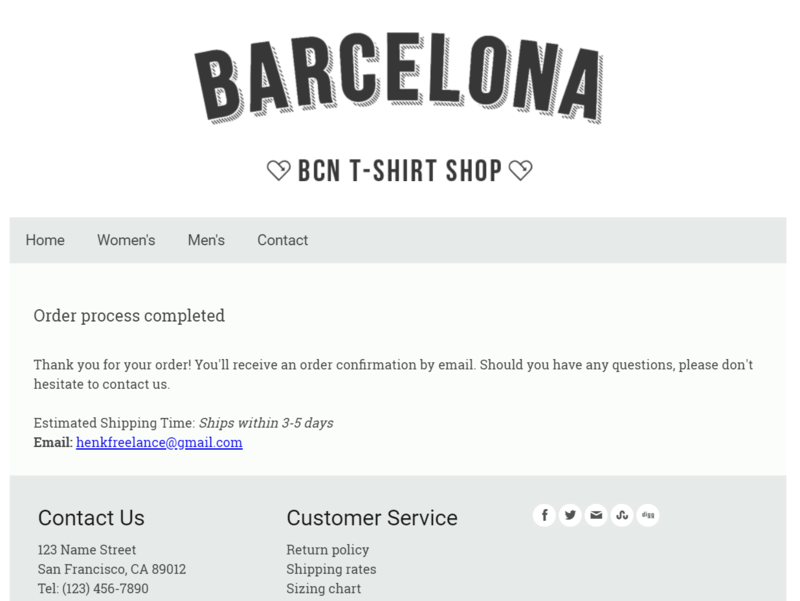 The rest are just polishes, like changing the text on your buttons and confirmation pages or numbering your products. Now, it’s time to set up your payment options. 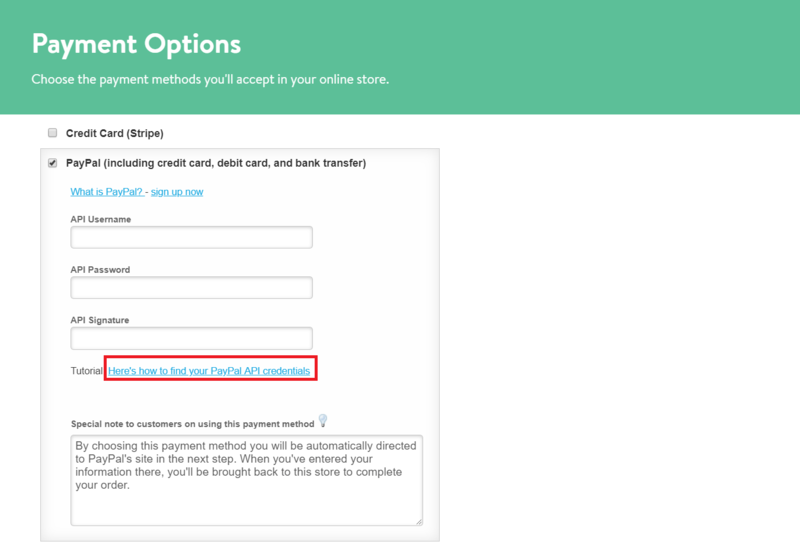 Just go to the ‘Store’ option in the menu and then to ‘Payment Options’. Just select the ones you want (you can select multiple options). The form is quite long, and you’ll need to provide all the banking details, tax information, etc. that Stripe requires. Getting your API credentials from PayPal is a very quick and easy process. You just have to find it among your PayPal tools and then request the API signature. 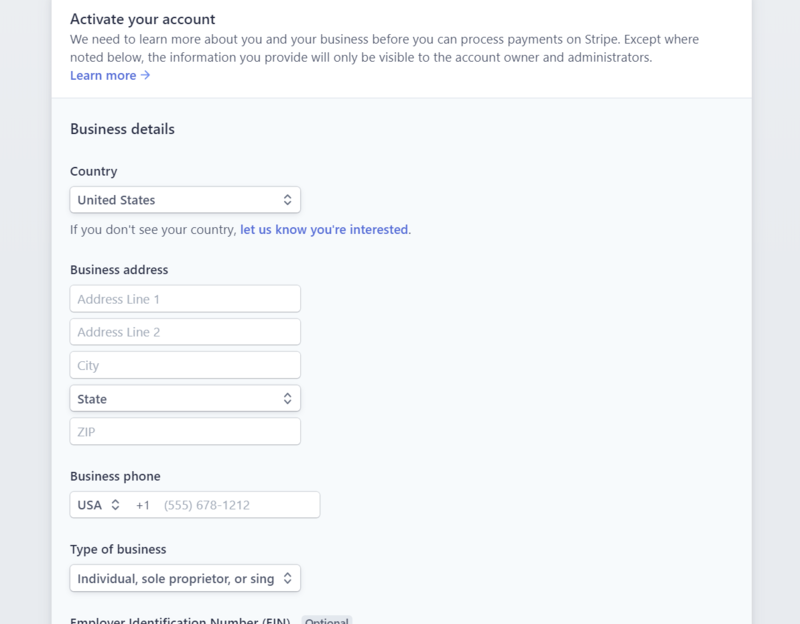 That will give you the three fields you need to fill into Jimdo to activate PayPal payments. All the other payment methods are arrangements you personally make with the buyer. So, the only thing you can do is leave a special note if the buyer selects that option. For example, you can tell them where to pick it up, how to make out and send a check to you, or arrange a personal delivery. That’s pretty much all it takes to set up your store using Jimdo. It’s not a complicated process, and it doesn’t take long compared to most other builders. In total, I’d say it took me about an hour to get through all of it and test the order. If you create a discount code, it will be up to you to distribute it via email, social media, or your own website. Dolphin is an AI-based builder that will create an entire website design for you based on a short questionnaire where you provide it with business information and design prompts. 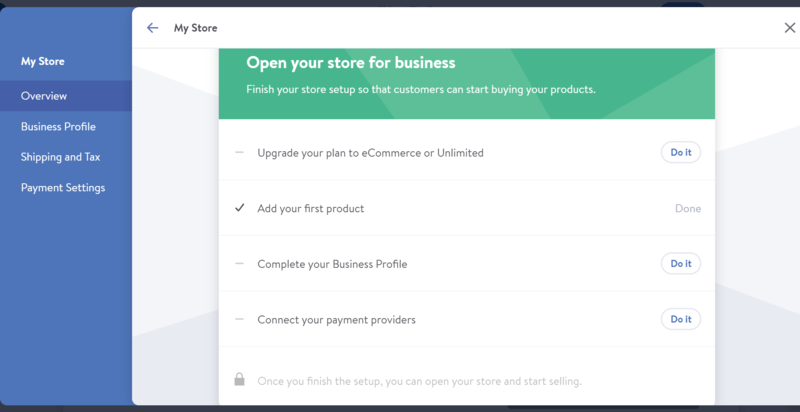 Because it’s aimed at users who don’t want to spend as much time designing their store, it also features a much simpler builder with limited customization options. Its online store tools work a bit differently, but in my opinion, it’s easier to use. 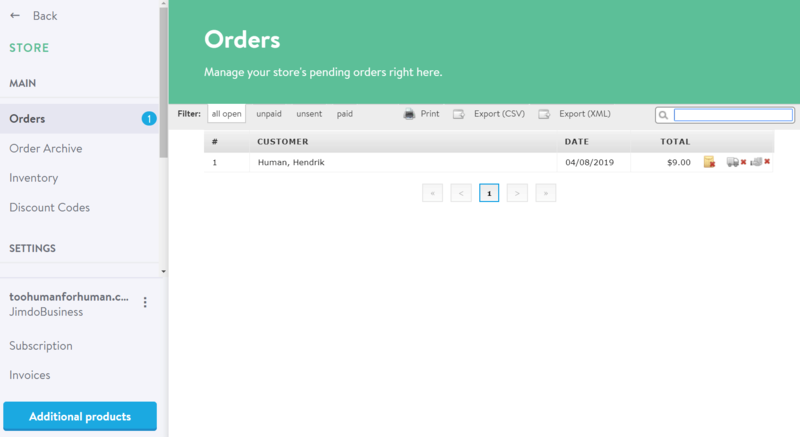 Dolphin is a good way to go if you want an even simpler and quicker way to set up a store, but the e-commerce features are less extensive than what Creator has to offer. You get fewer shipping, payment, and product variation options. 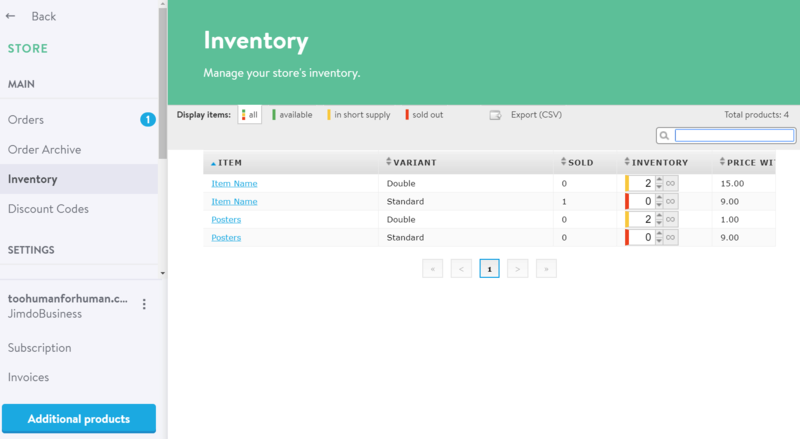 However, I do like the modern design of the store page, products, and management tools. Even if you’re new to website builders, it shouldn’t take you more than an afternoon to create some products, add your payment methods, and get ready to sell on Jimdo. Just keep in mind that the e-commerce tools you get are very basic. Compared to other beginner-friendly builders, Jimdo is lacking in features. I’d recommend Weebly if you want a builder that’s almost just as easy to use as Jimdo but with slightly more advanced e-commerce functionality. Wix is great for users who are comfortable working with a slightly more complex and feature-rich builder.